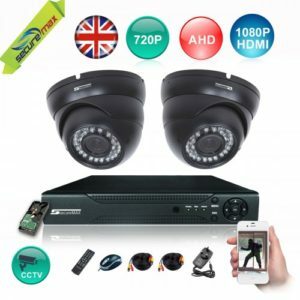 AHD HD CCTV Security Cameras kit, consisting of 2 weatherproof video security camera at the resolution of 720p HD and 4 channel video cctv recorder of Real Time and analog High Definition video cameras. A system that works on the basis of the newest AHD technology, allowing to transmit an image of the great HD resolution via a coaxial cable at a long distance without lateness and losses. 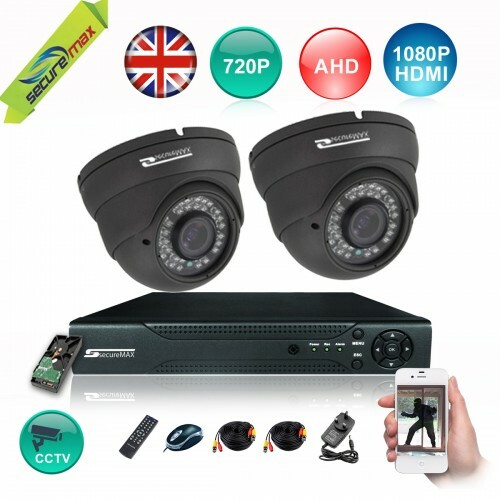 A HD video Surveillance system is easy to mount and adjust with no outside help due to a detailed manual. All the necessary patch cords and a full set of accessories are included in the package. 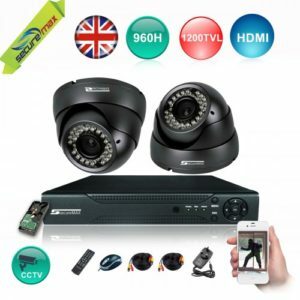 Weatherproof 720p video camera x 4 pcs. 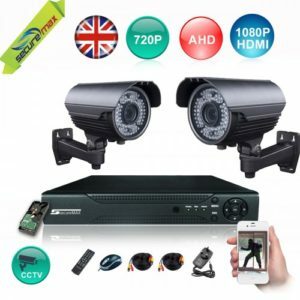 4 channel AHD video cctv recorder- 1 pc. Power supply 12v – 2pcs.